This is a Camping forum for you to ask any question relevant to Camping, Touring Caravans, Motorhomes or any other camping type activity. We have created main sections but if your question does not fit into an existing section then please let us know and we will add it. Please feel free to browse the questions on the site. You will notice that once you have an account you can vote on questions or answers. This will give other members / enthusiasts a quick reference as to the quality of a question/answer they are reading as decided by the forum members. You can also see the reputation points that a member has earnt; this again is a great indicator whether that member has had positive feedback from other members. You can learn more about points by visiting our Help Page. Once you ask a question you will own that question and can “Accept” the best answer. You and the answerer will gain reputation points for this interaction and this will be a good reference as to which answer to read. Click one of the sections below to begin. Camping advice, views, tips & questions. This is where to post general questions and discuss camping related topics not covered by other sub-forums. In this section you can discuss experiences you have had with different insurance firms. Have a camping, caravaning or motorhome question, ask here and get free independent help, views and advice. Campsite Chatter your definitive Camping Sites guide. This is where to post your more serious general questions and discuss Caravan, Motorhome & Camping related topics not covered by other sub-forums. In this section you can arrange camping or caravan meetings, rallies or get togethers with Campsite Chatter members. Have a cycling or bike related question, ask here and get free independent help, views and advice. Have a fishing related question, ask here and get free independent help, views and advice. Enjoy Fishing, tell other people about great fishing places you have found and anything else fishing related. Have another hobby that does not fit into the other sections, chat about it here. Have a photography or camera related question, ask here and get free independent help, views and advice. This section is for everything photography or camera related. Enjoy finding interesting walks around the UK and Europe. This section is to chat to other members with the same interest. Use this section to introduce yourself to the community. Whether you are a seasoned caravanner, a technical guru or starting out in camping or caravanning, you will receive a warm welcome on Campsite Chatter. Please see the instructions by clicking on the “Ask Questions, Get Answers, Straight to the point…” at the top of the forum homepage. You can see the reputation of other members and their badges by clicking on their name. Don’t forget to accept answers so to give a reward to good answers. 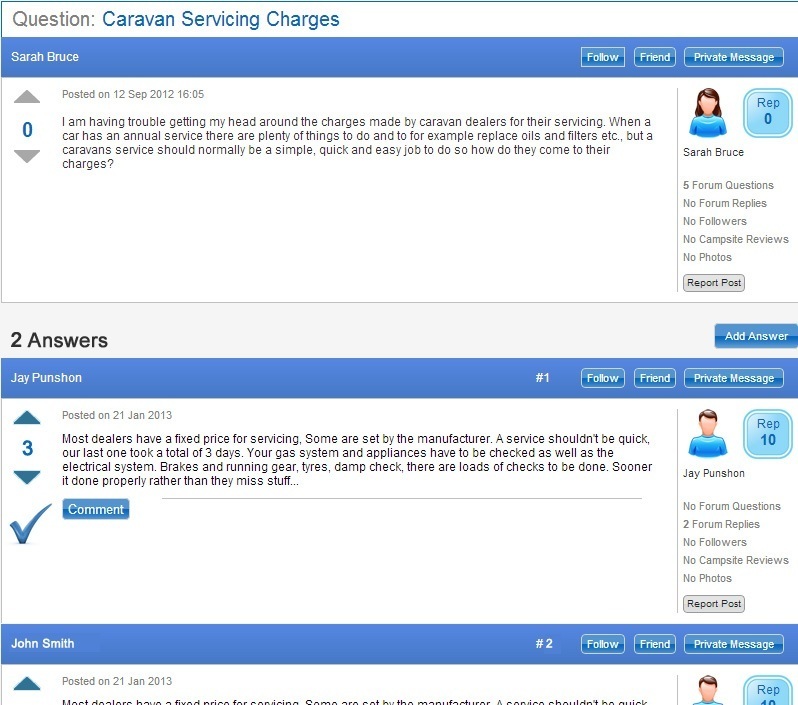 Do you have a question about Caravan or Motohome Air Conditioning, check out this section on Campsite Chatter & get free independent help & advice. Do you have a question about Caravan or Motohome Awnings, check out this section on Campsite Chatter & get free independent help & advice. Do you have a question about Caravan or Motohome Accessories, check out this section on Campsite Chatter & get free independent help & advice. Do you have a question about Caravan or Motohome Fridges or Freezers, check out this section on Campsite Chatter & get free independent help & advice. Do you have a question about Caravan or Motohome Heaters, check out this section on Campsite Chatter & get free independent help & advice. Do you have a question about Caravan or Motohome Hobs or Cookers, check out this section on Campsite Chatter & get free independent help & advice. Caravan & Motorhome Rooflight advice, views, tips & questions. Caravan & Motorhome Taps & Toilets advice, views, tips & questions. Have some good advice to share with everyone else, post it in here. Do you have a question about Coleman Tents, check out this section on Campsite Chatter & get free independent help & advice. Do you have a question about Gelert Tents, check out this section on Campsite Chatter & get free independent help & advice. Do you have a question about Halford Tents, check out this section on Campsite Chatter & get free independent help & advice. Do you have a question about Kampa Tents, check out this section on Campsite Chatter & get free independent help & advice. General Tent advice, views, tips & questions. Do you have a question about Outwell Tents, check out this section on Campsite Chatter & get free independent help & advice. Do you have a question about Royal Tents, check out this section on Campsite Chatter & get free independent help & advice. Do you have a question about Sunncamp Tents, check out this section on Campsite Chatter & get free independent help & advice. Do you have a question about Vango Tents, check out this section on Campsite Chatter & get free independent help & advice. There has been an error saving your Private Message. We are sorry but please try again later. There has been an error retrieving this members profile details. Please try again later. There has been an error saving your comment. We are sorry but please try again later. There has been an error saving your report. We are sorry but please try again later or email us with details and we will look into it. There has been an error saving your answer. We are sorry but please try again later. Congratulations you have earnt a badge! Chatter Q & A is not a discussion forum, it is all about getting answers to your questions. The user who asks the question can "accept" one answer. The accepted answer doesn't necessarily mean it is the correct answer, just that it was the best answer for the person who asked. You earn reputation when your question or answer is up-voted. As your reputation grows you will win badges and your credibility within the forum will grow. When you ask a question, you own that question and then when peers answer it you can accept the best answer (in your opinion). This will give the member who put the effort in to give a good answer more reputation. It will also let other people browsing the site a quick way to see the best answer. Peers can vote on questions and answers that you submit. If you ask a good question or give a good answer other members will vote that contribution up. You will be awarded reputation for each vote you get. You will then begin to build credibility within the Chatter Forum. If you see a good question or answer then vote it up. This will give reputation to the member who put in the effort to submit a good question or answer. Alternatively, if you see a bad question or answer then vote it down. This will help other members to see at a glance which answers are good/bad. As you carry out certain tasks you will also be awarded badges. These will again help build your credibility within the Chatter Forum. Please see above for an explanation on badges. 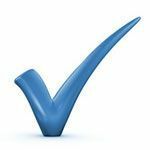 Sign In or create an account to comment, repin, like, create pinboards amongst many other benefits. Why not, it is free! There has been an error saving your question. We are sorry but please try again later. Your History will start to be built once you view some questions. This answer has been accepted as the BEST answer by the owner of this question.